BREAKING: Manafort Plea Deal Includes Cooperation - Joe.My.God. In a dramatic reversal, former Trump campaign chairman Paul Manafort pleaded guilty Friday morning to federal criminal charges and agreed to cooperate with special counsel Robert Mueller’s Russia probe. Manafort’s decision to cooperate with Mueller is a potentially grievous blow to President Trump. 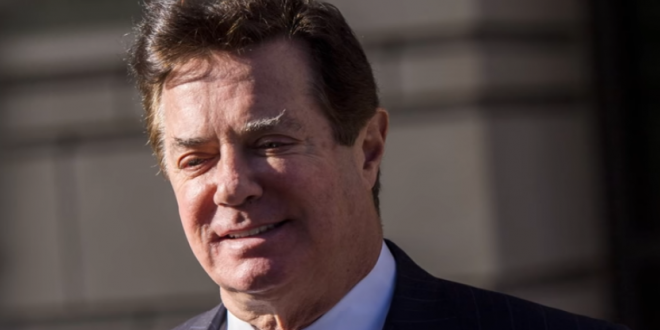 Prosecutors in the DC case against Manafort filed a Superseding Criminal Information on Friday morning in the Washington D.C. case, charging Manafort with a single count of conspiracy against the United States and a single count of conspiracy to obstruct justice through witness tampering. Those two charges appear to be the basis for a plea agreement. Remember that Manafort was 1 of 3 Trump senior officials in the room with the Russians at the Trump Tower meeting in June 2016. And now he is cooperating with Mueller. BREAKING: Ex-Trump campaign chair Paul Manafort cuts 'cooperation agreement' ahead of 2nd trial, prosecutor says. HUGE: Reading from what he calls the "cooperation agreement," prosecutor Weissman mentions to Judge Jackson that a portion of the plea agreement mentions "the completion of [Manafort's] successful cooperation."